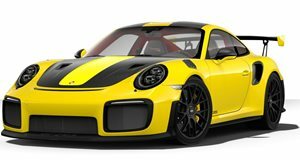 Production numbers are limited for these models and Porsche has already ceased manufacturing the current-generation GT2 RS of which only 1,000 are estimated to have been built. According to CarScoops, that may be about to change though as a cargo ship named Grande America caught fire off the coast of France on March 12, and sank in the Bay of Biscay not long after. Thankfully there have been no human casualties but an oil spill from the vessel may still threaten some nearby areas. Porsche has not yet commented on whether they had any cars on the vessel but various sources from Brazil say that at least four GT2 RS models, as well as another 33 Porsches including Caymans, Boxsters and Cayennes, were part of the shipment. Now usually this sort of thing is covered by insurance and the cars would be replaced in due course, but what about a limited-edition sports car that has just ceased manufacture?